Employees from Intuit and Jack in the Box stopped by the San Diego office Friday with cars fulls of gifts to fulfill the holiday wishes of children and youth in foster care. A Razor scooter and helmet for Leo. 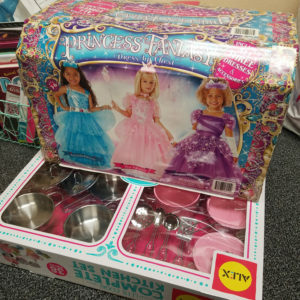 A Princess Fantasy Dress Up Chest for Bethany. 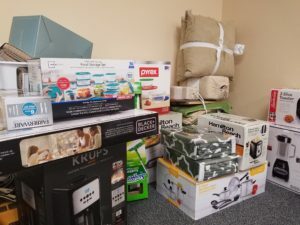 And pots and pans, blankets and other household necessities for youth in Walden’s transitional housing program. Intuit, a leading provider of business and financial management solutions, has a long history of employee giving to benefit children in foster care. This year, San Diego-based Jack in the Box joined in granting holiday wishes with presents for older youth who are moving into their own apartments. Walden is grateful for all of our corporate partners for their generous in-kind and financial gifts throughout the year. If you would like to join our corporate partners in brightening the holidays for a child in foster care, you can make a donation online. 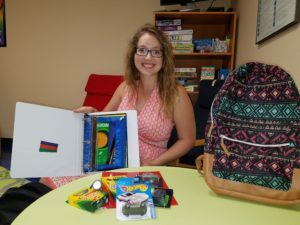 Each year, the business community hosts backpack drives to provide school-age foster children and youth with necessary school supplies. This summer, Walden received backpacks from San Diego-based Global Algae Innovations, Inc., which uses algae to produce food, energy, and economic security. 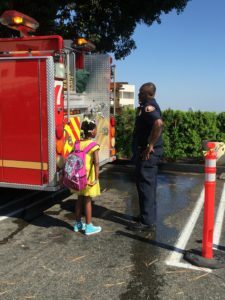 In Los Angeles County, Chin Chin West Hollywood organized a bus trip, lunch at the restaurant and a visit from Los Angeles County Fire Station #7 as part of their annual backpack drive benefiting children and youth in Walden’s Encino foster care and transitional housing programs. Discover how your business can support foster youth through corporate sponsorships or online giving.